How do you effectively (and, cost efficiently) get eyeballs on content? When it’s a David vs. Goliath battle, get eyeballs on content by outsmarting competitors. Out of necessity, I learned to effectively get eyeballs on content with tiny budgets. How? At Tellabs, we were up against competitors like Cisco, a company 40 times bigger. We couldn’t outspend them, so we had to outsmart them. That takes a David vs. Goliath approach to content marketing. 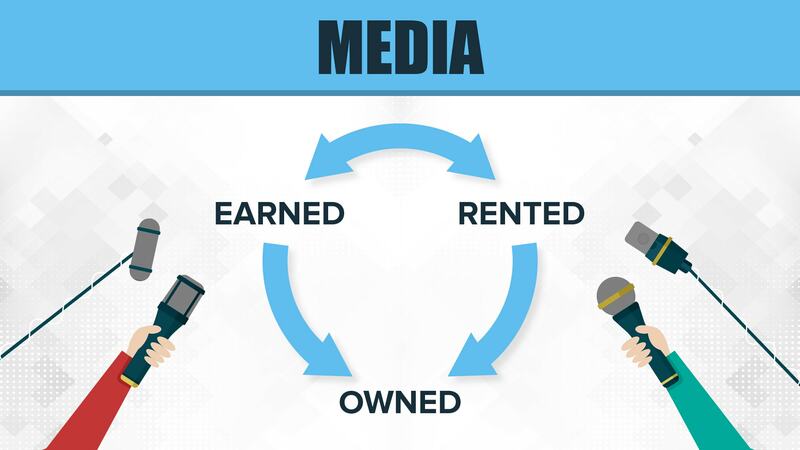 To get eyeballs on content, always put owned and earned media before paid media. Maximize the content in earned and owned media through guest posts, public relations, customer stories and employee ambassadors. After search, the top source of traffic to this website is guest posts from sites such as the Content Marketing Institute and similar sites. To secure more guest posts, use my free Guest Blogging Checklist. Just as pilots and surgeons work through checklists to ensure they take every crucial step, so do marketers who seek to guest blog effectively. This checklist helps you identify the most relevant sites for your guest posts, develop win-win content that’s good for you and the host site, and get eyeballs on content without spending a fortune. __ Read and follow guest-blogging guidelines, e.g., do they allow images or infographics? To get eyeballs on content, download my free Guest Blogging Checklist. Another way to get eyeballs on content comes through public relations (PR). Often PR is separate from the Marketing Department. That often means content marketing and PR aren’t on the same strategy or message. So, the potential content marketing results from PR are sub-optimal. 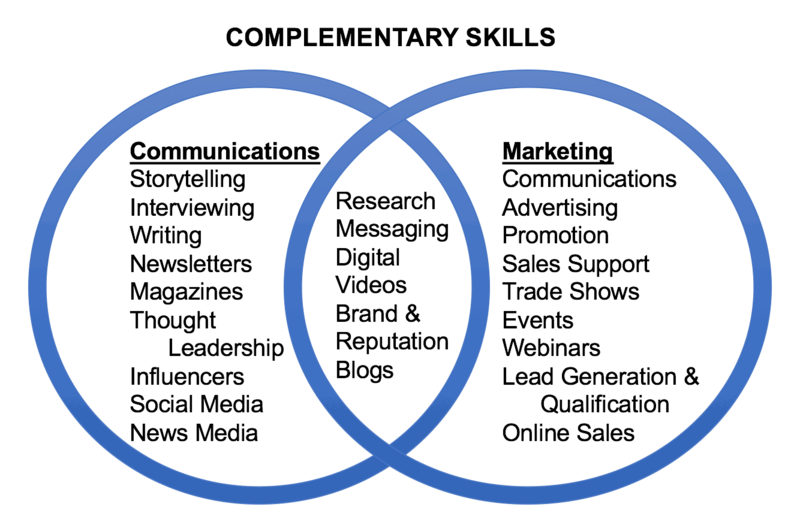 In a handful of companies, PR or communications is part of Marketing. For example, at Tellabs, we integrated public relations into marketing in the year 2000. By doing so, we added experience and skills in interviewing, storytelling and working with third parties beyond our control. 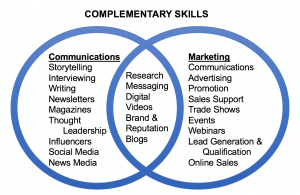 We needed exactly those skills to produce our e-newsletter and customer magazine. Converge the skills of marketing and PR to advance content marketing to the next level. A competitive audit shows how your brand’s content stacks up against others in the marketplace. In searches on many topics, often the only way to get your brand’s content into the top 10 Google hits is through news media and intermediaries. That’s exactly what PR excels at. Most of what consumers find on page one of a Google search comes from news media and intermediaries, not brands. In the example above, only 3 of the top 10 hits come from healthcare brands: Daily Health Wire, Blue Cross Blue Shield, and the Cleveland Clinic. Fully half of the top 10 Google hits come from news media and influencers. Two of the top 10 hits come from government agencies or non-healthcare providers (lawyers). What’s on page one of a Google search is crucial, because 9 out of 10 people only look at the organic search results on page one, usability studies have found. People ignore paid search results. Very few go on to page two in search. If your brand is not powerful enough to turn up on page one in Google searches on its own, you must work to get your brand mentioned in other people’s content – including news media and influencer content. That’s exactly what PR can do: get eyeballs on content from other people that helps your brand. 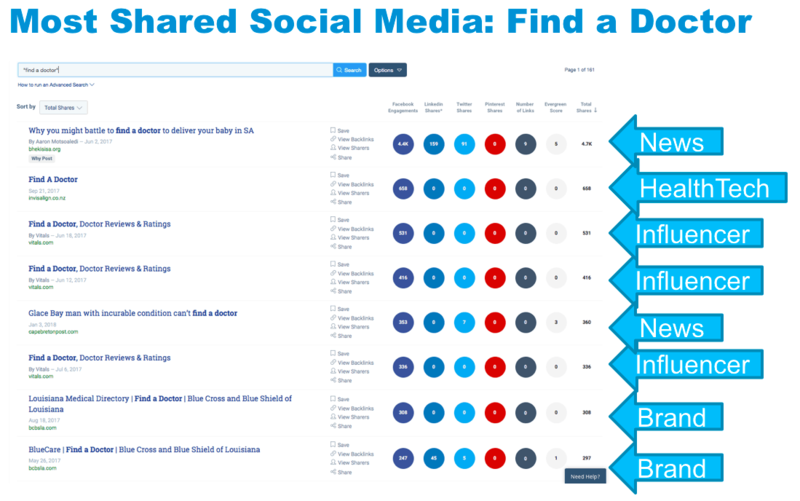 Only one brand ranks among the top 8 influencers on the topic of how to find a doctor. 2 come from one healthcare brand: Blue Cross and Blue Shield of Louisiana. All other healthcare brands were shut out of the top 8 influencers. That’s why marketing desperately needs its PR team to work with news media and influencers on placing content. Get eyeballs on content by spreading your message through other people’s content. A pointed question on content marketing comes from author and speaker Andy Crestodina, who asks: Who is looking forward to your content coming out? Create case histories and testimonials that make your customers the heroes. Grow your audience by empowering employees to become content ambassadors. Give employees the license to share your brand’s content through social media, blog posts and word of mouth. Make your employees into content ambassadors. Why? LinkedIn found that employees have 10 times greater reach than brands do on social media. Working through employees a great way to get eyeballs on content. What’s more, employees are more credible than brands. Customers believe what they hear from employees, especially those they know personally. Set the right example by having the executives lead the way. Start by training C-levels on social media one-on-one. Why? Executives accept social media training better when they can’t be embarrassed in front of their peers, IBM found. Teach employees how to build their personal brands in social media. Invest in their success by bringing in a photographer to shoot professional portraits for them to use in their social media profiles. Train employees on your company’s social media policy so they can adhere to it. Make clear what’s ok and what’s not ok to do. Share a stream of original and curated content with employees weekly or daily. 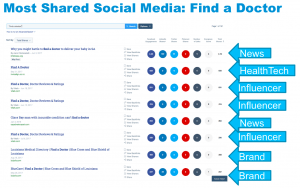 Let each employee choose which content they want to share with their networks. Incent employees to post on social media through recognition, rewards and awards for the highest achievers. 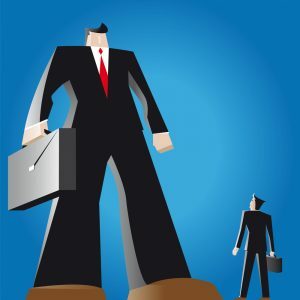 When you need to get eyeballs on content, take a David and Goliath approach. Maximize the earned content you generate through guest posts, public relations, customer stories and employee ambassadors. Do everything possible with earned and owned media before you pay a penny to place content in paid social media, paid search or other advertising media. Make sure all of your earned and paid media always point back to the media you own: your website, your email list, your blog and magazine subscribers, as Rusty Shelton recommends. 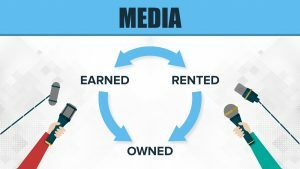 A solid distribution strategy includes earned, rented (paid) and owned media. Point everything to your owned content, as Rusty Shelton advises. “How do you effectively (and, cost efficiently) get eyeballs on content?” is one of marketers’ Top 100 Questions on content marketing. Here are more answers to marketers’ Top 100 Questions.